Before the comprehensive 1974 health and safety legislation, there was carnage across industry, with death and serious injury at work commonplace. The new laws were an important breakthrough, yet the number of people who still lose their lives or contract serious illness is frighteningly high – in 2012-13 some 148 people died at work. Safe at Work? cuts through the fog of misinformation. The book has an introduction by Mark Serwotka, general secretary of the Public and Commercial Services Union. Review by the Bookmarks socialist bookshop. Appears in Labour Research (November 2013). Order Safe At Work? at www.bookmarksbookshop.co.uk or from Spokesman books at www.spokesmanbooks.com. 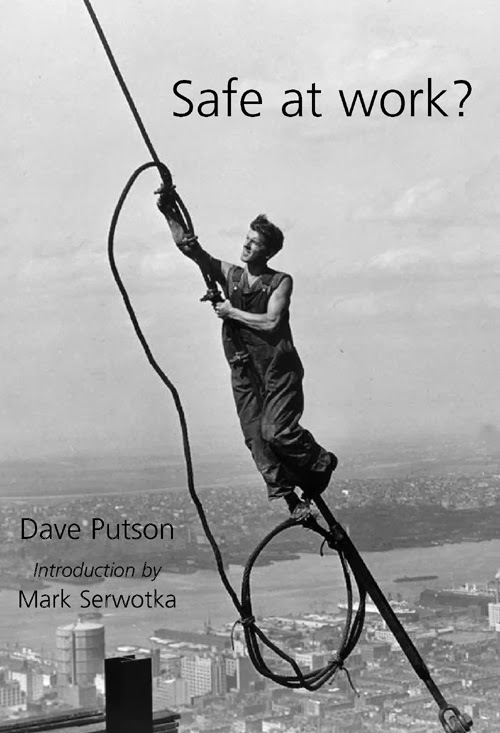 Book Review Dave Putson Health and Safety Labour Research Labour Research Department LRD Publications Mark Serwotka Safe at Work? Labels: Book Review Dave Putson Health and Safety Labour Research Labour Research Department LRD Publications Mark Serwotka Safe at Work?